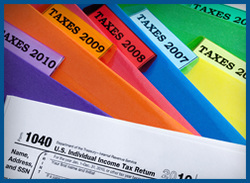 The IRS can select tax returns for audit and/or review. If a tax return is selected for auditing, it does not necessarily mean that the IRS suspects an error in the tax return. It may have been selected randomly, there may have been a document that did not match up correctly, or it may have been linked to another tax return that was selected for audit. Those whose tax returns are selected for audit have the right to representation on their behalf.